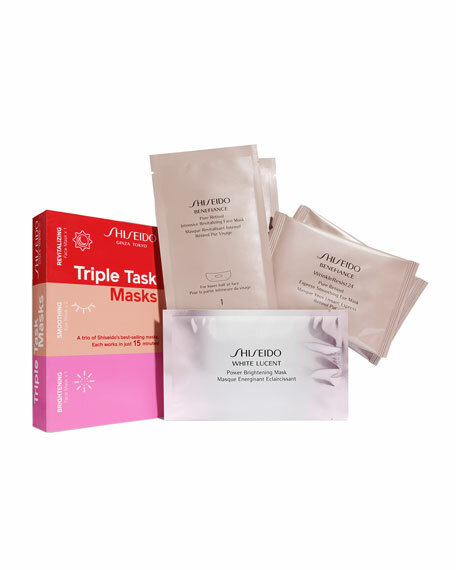 A must-have mask sampler set with three of Shiseido's best-selling masks to intensively target visible wrinkles, reduce visible spots and leave skin beautifully bright. 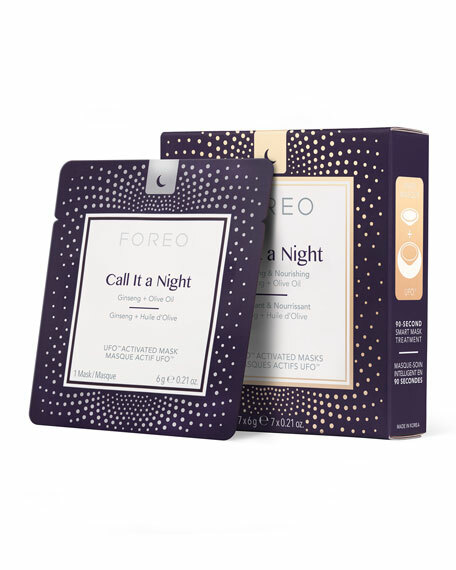 Benefiance WrinkleResist24 Pure Retinol Express Smoothing Eye Mask: Apply the eye masks under the eyes as shown on packaging. Leave on for 15 minutes, then gently remove. Using light pressure, pat remaining essence into skin along the pressure points show in the illustration on packaging. 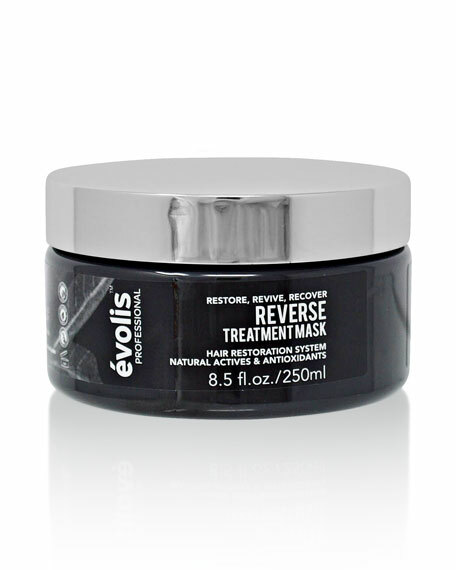 This mask can also be used on laugh lines around the mouth. 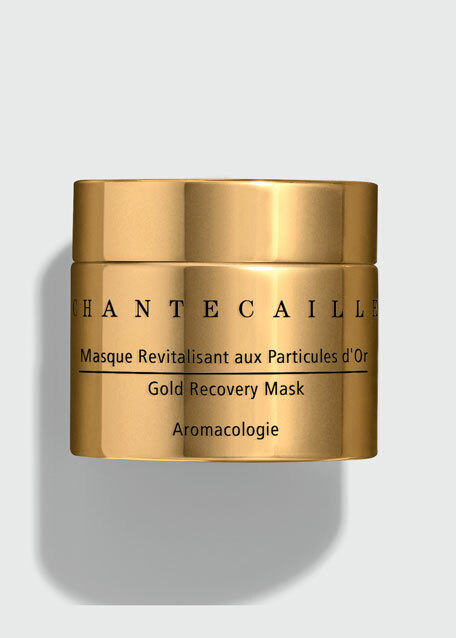 Benefiance Pure Retinol Intensive Revitalizing Face Mask: Apply this concentrated treatment sheet mask after cleansing and balancing skin to help improve skin's texture and combat visible wrinkles. Leave on for 15 minutes, then peel off. 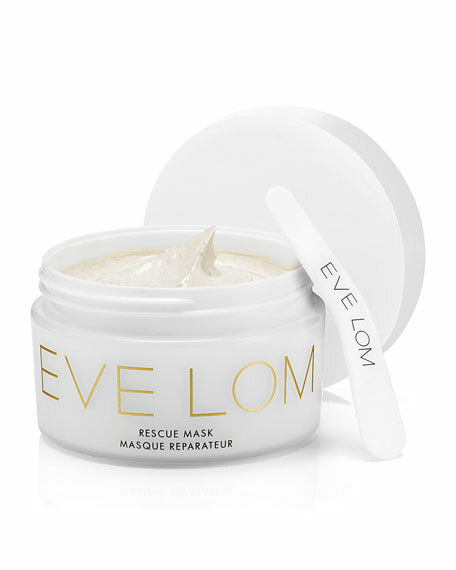 Smooth any remaining emulsion into skin with a light massage motion. 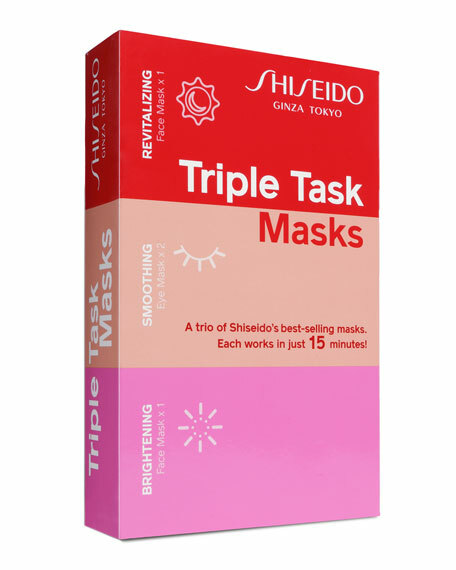 Use each mask piece once only. 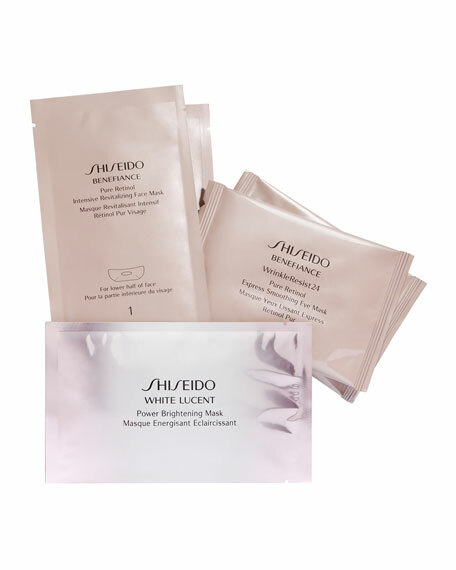 White Lucent Power Brightening Mask: Place the mask over the entire face and remove after 10 minutes to help target spots and discoloration. Gently blend remaining essence into skin and lightly press over the entire face.